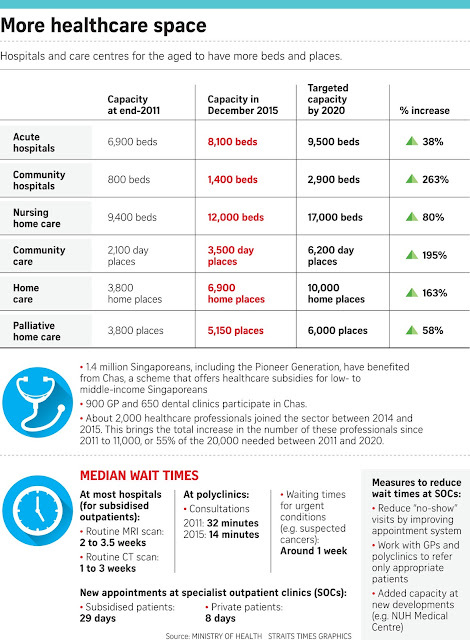 Singapore's Healthcare Masterplan 2020 is on track, and people here rank behind only Japan and Andorra in terms of leading the longest healthy lives in the world. 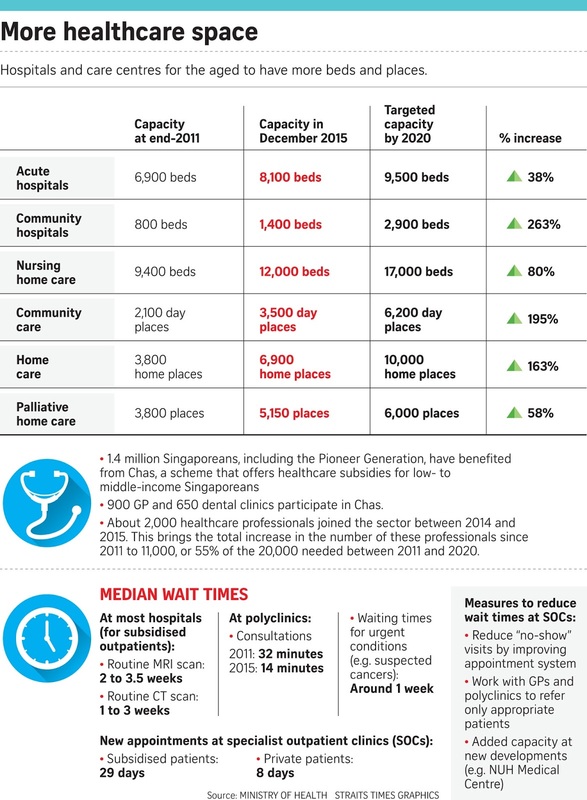 But there are some worrying trends, said Health Minister Gan Kim Yong yesterday, including the ability to sustain the current level of service as the population ages. Costs are of particular concern. "Many developed countries with ageing populations are facing similar challenges as us," he said. "One important lesson we can learn from their experience is that doing more of the same cannot be the solution." The Government has already more than doubled its healthcare spending from $4.7 billion in FY2012 to $11 billion this year. The launch of MediShield Life to cover everyone from birth till death last year has also helped people pay for their healthcare cost. Between December and February, this new scheme has paid out $136 million to cover 95,000 claims. This is 29 per cent more a month compared to payouts last year, he said. One of these deals with choosing appropriate care. Some insurance policies for private care provided by Integrated Shield plans pay according to what doctors and hospitals charge. Some people also buy "riders" that do away with the need for the patient to pay anything for major medical treatment. These could lead to a "buffet syndrome" since the cost is paid by someone else, said Mr Gan. "This contributes to rising healthcare costs for everyone and eventually pushes up premiums." This system will have to be studied, he said. 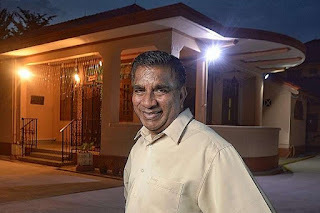 Meanwhile, the ministry has set up an Agency for Care Effectiveness (Ace) to look into the use of high-cost treatments and technologies "to ensure that the outcomes from these technologies are commensurate with these costs". Not all medical tests and treatments are necessary or useful, he said. Countries like the United States, Britain and Japan have launched "Choose Wisely" campaigns to educate people on low-value tests and treatments. These countries have identified 400 such treatments. Ace will do the same for Singapore. It will also encourage healthcare providers to manage costs while providing quality care. He said: "This will help patients, caregivers and physicians make more informed treatment decisions and avoid over-provision of services that will drive up costs." Another shift involves moving beyond the hospital to the community. This requires a comprehensive system of primary, intermediate, long-term and home care to support hospital treatments. It should centre on the patient's desire to recover quickly with as much functional ability as possible. By streamlining care, the stay in hospital can be shorter and rehabilitation, if needed, started earlier. The third push is to increase the years of healthy life for people here, which stood at 70.8 years for men and 73.4 years for women in 2013. Unfortunately, with longer lives, the number of years people here live in ill health has also gone up, and in 2013 stood at 8.9 years for men and 10.6 years for women. Dr Lily Neo (Jalan Besar GRC) and Dr Chia Shi Lu (Tanjong Pagar GRC) had asked about what Singapore is doing about diabetes, which is fast becoming a major global healthcare burden. To them, Mr Gan said his ministry will be waging a multi-year war against diabetes, a disease which costs Singapore more than $1 billion a year.